While not DIY, I thought I would let you guys know that Coldplay is offering a free album download. Today [May 15, 2009] is also the day of the band's first North American tour date, in West Palm Beach, where the first copies of the LRLRL CD will be given away. 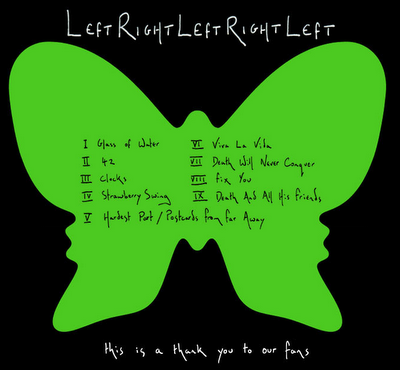 The CD will then be handed out to all fans at every remaining Coldplay live show in 2009 (apart from Festival shows). The free download will also be available from Coldplay.com until the band play their final 2009 show." The download is a 54.5MB .ZIP archive containing 9 .MP3 tracks which are recorded live. 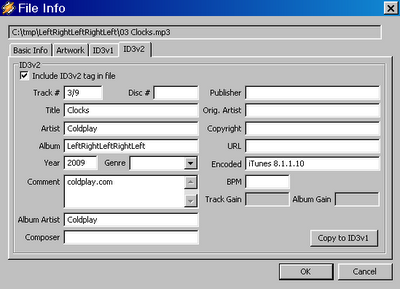 The MP3 tracks are 192 kbps and sure they are not the pinnacle of sound reproduction, but it's music and FREE. 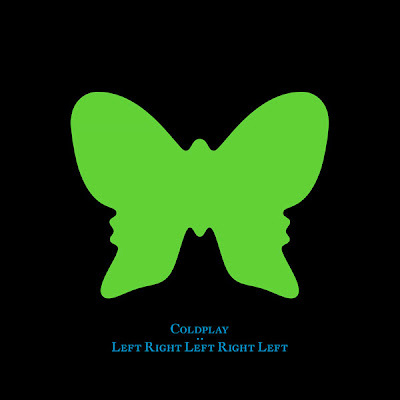 Here is the link to download Coldplay's Left Right Left Right Left live album [54.5 MB]. The images of the album cover are and a screen shot of the track information is included below. Click on the images to enlarge them.